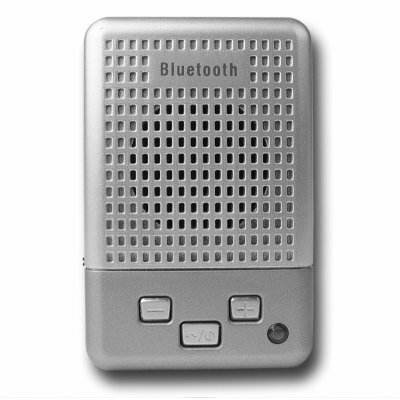 Successfully Added Sun Visor Clip Car Bluetooth Kit - 1W Speaker to your Shopping Cart. Bluetooth enabled sun visor clip car kit with a high quality 1W speaker for great sound. Safety on the road is paramount, and with many laws forbidding holding and using cellular phones while driving, having this handsfree Sun Visor Bluetooth gadget is a safe and legal way to keep up with all your phone calls. The removable and rechargeable Li-ion battery will provide hours of active talk and listen time, and with 200 hours of standby time, recharges will be few and far between. Make phone calls safe and easy while driving with Chinavasions new Bluetooth Car Kit with sun visor clip..